With our cases all packed, our tour of Catalonia is almost over. 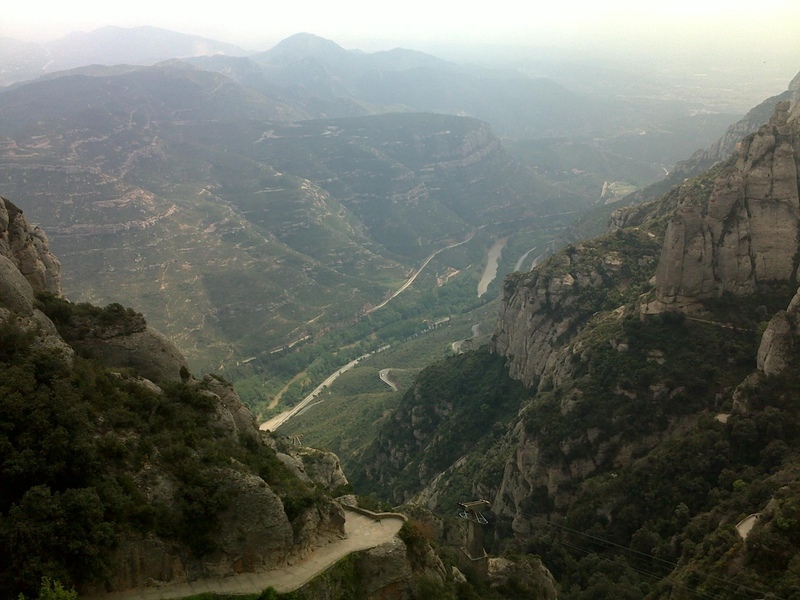 We’ve been thousands of metres up, performing in one of the highest monasteries in the world; enjoyed pleasant hours by the sea; and witnessed Spain’s gorgeous countryside as we drove through it in our coach. The next time I blog, I’ll be back home in Maidenhead with this week’s ‘Photo of the Week’. Until then, here’s a round-up of the latest from Spain. On Wednesday, we spent a concert-less day at Port Aventura theme park, about an hour away from the hotel. 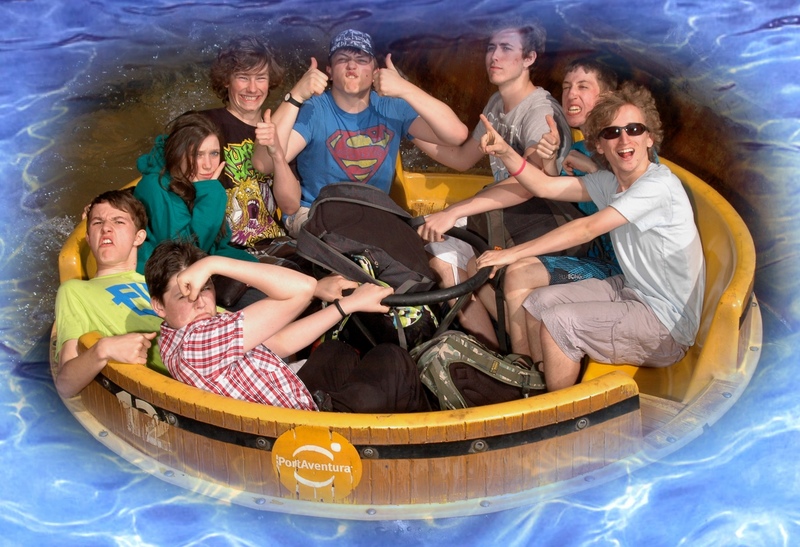 Followers of me on Twitter may her seen me tweet the below picture, taken whilst a group of us were on the Rumba Rapids ride. Just minutes later, Gillian Dibden (Taplow Youth Choir’s director) got aboard a dinghy too! On Thursday, we enjoyed a trip to Montserrat where we performed in front of 400 people (if not more). It was a prestigious opportunity — something few choirs will ever be offered to do. I was a little disappointed at the little time we were allowed to look around the amazing place. 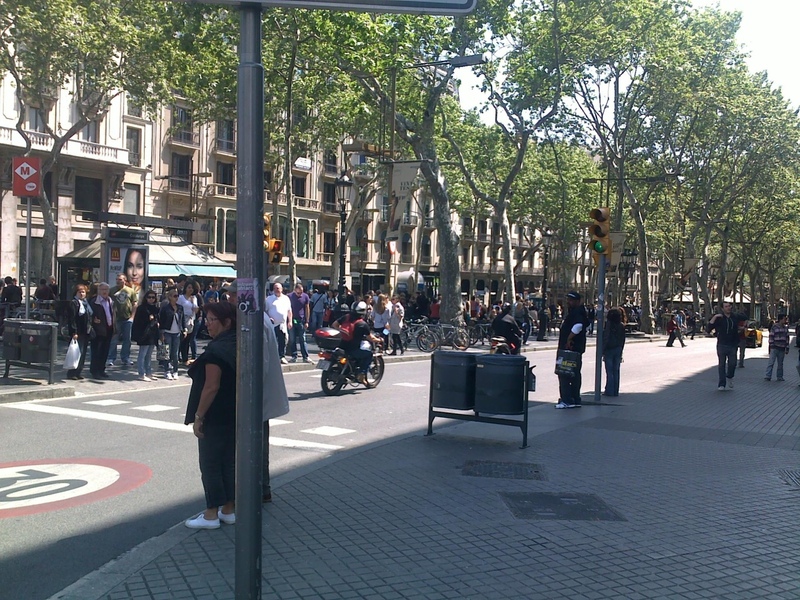 Friday saw us shopping in Barcelona on Les Ramblas. We spent the whole time with our hands in our pockets though, to avoid the notorious pick-pockets! Yesterday (Saturday) we visited Tarragona, a seaside town described as “the Brighton of Spain”. 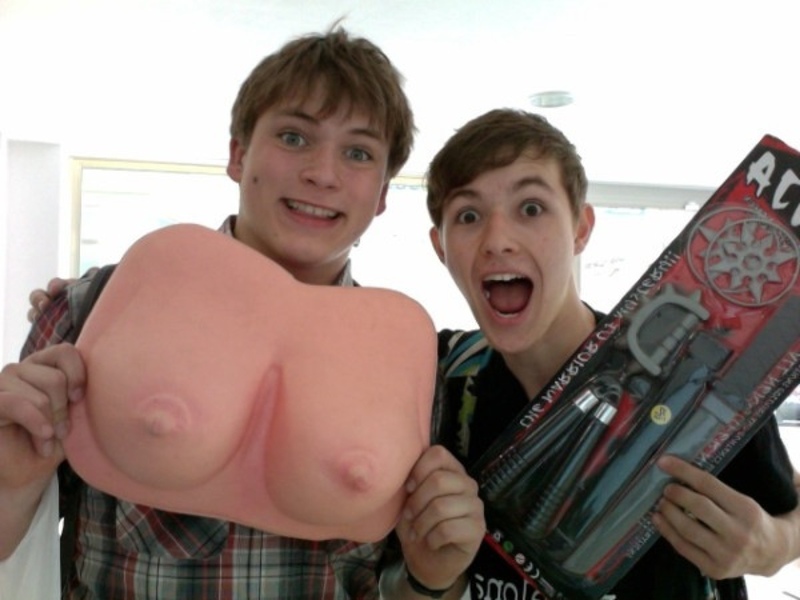 Jay Brickell, somebody who I’ve come to know quite well during this trip, bought some ‘ninja kits’ (consisting of a couple of plastic swords and a bandana), while I purchased a pair of comedy breasts. Last night’s concert (our final one) was at a church near the hotel, so we walked there at 5:15pm. The concert was preceded by us singing at a mass service, and many of the worshippers stayed to hear some more. We went out for a meal at a local pizzeria yesterday evening, and had out first drink paid for by tour fundraising (including the sale of chocoholics by my parents). It was a great evening, but a rude awakening to the fact that our brilliant trip was rapidly coming to an end. I write this with my toes in the hotel pool, as we prepare to leave. We’re planning a train ride to Sitges to spend the day there, before returning to collect our luggage and drive to the airport. At 8:40pm, Flight BA487 will leave Barcelona. ‘An hour’ later we’ll be in London, and our tour of Catalonia will truly have come to an end.